Hello Beauties! I hope you're all well and having a wonderful week! This week I've been spending most of my time packing up my life into boxes ready for my big move to London this weekend, and the rest of my time has been lost to Netflix binges...but the less said about that the better. 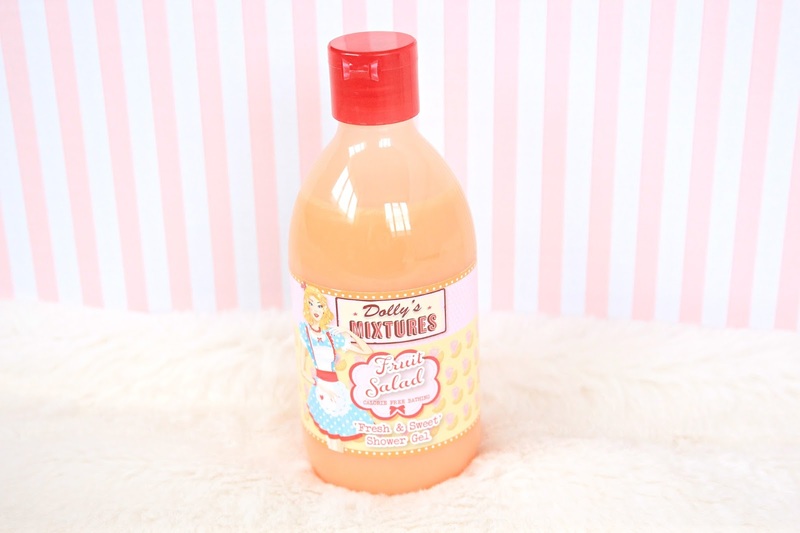 When it comes to bath products I love anything fruity, sweet, girly and cute...and Dolly's Mixtures shower gels seems to put a tick in to all of those boxes. 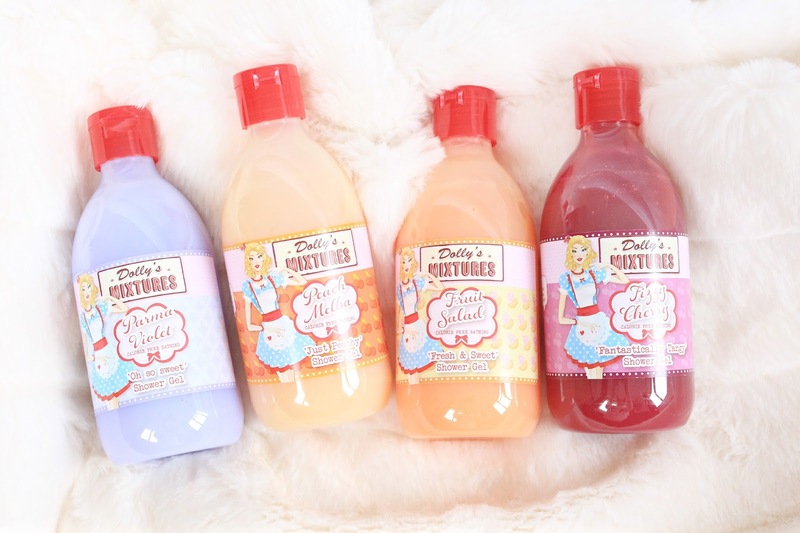 Dolly's Mixtures are the latest brand to grace the shelves of my shower and I've been loving using them so much lately that I wanted to share with you all the ones I picked and why I love them so much. The first one I've been using is the Peach Melba scent. I love the smell of peaches and Peach Melba Ice Cream is one of my all time favourites so I knew I was going to love this one. The scent is peachy and sweet, however the slight citrus-y tang to the scent offsets the sweetness a little ensuring that it isn't that horrible fake kind of sweet scent that some products can have. 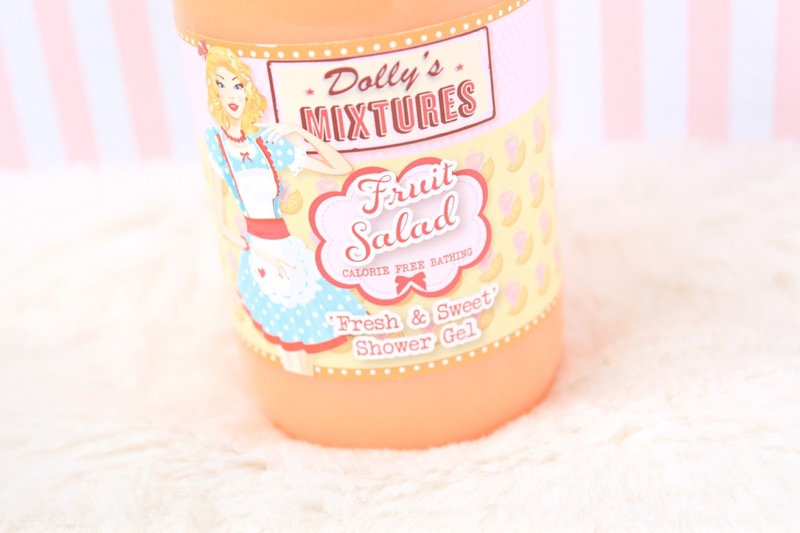 One of my all time favourite sweets growing up were Fruit Salads, so I was happy to see that Dolly's Mixtures had included this in their new range of scents. The Fruit Salad scent does smell a little bit like the sweets I'm sure we all loved growing up, however this one is a little fainter in smell and has more of a fresh scent. It's still a lovely scent and does smell fruity and sweet, however it's not identical to the scent of the actual sweets...I still think you'll love this if you loved the sweets growing up though. The Fizzy Cherry scent is probably my favourite of all of the Dolly's Mixtures scents as it smells exactly like the fizzy cola bottles I always used to love getting in my pic n' mix bags growing up. It's completely identical to the smell and takes me right back to my childhood whenever I smell it, and I love it so much I can't help but giving it a little sniff every time I walk past it on my bathroom side. If you're a fan of fizzy sweets then I really recommend giving this a smell as I'm sure you'll love it. 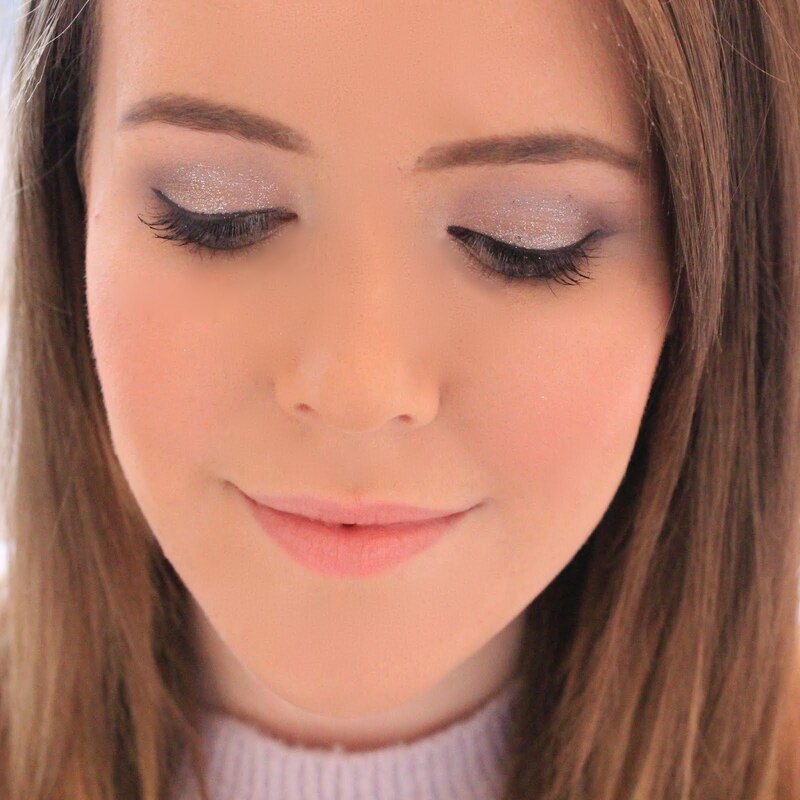 The last scent I've been using recently is the Parma Violet scent which is this gorgeous lilac colour. I adore pretty looking bath products and this one is definitely up there with the prettiest around as it's such a lovely colour (lilac is one of my favourite colours). 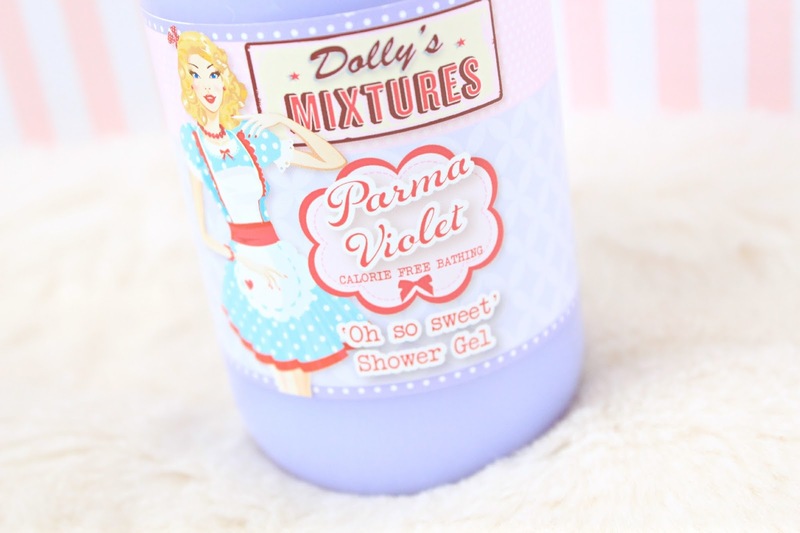 I wasn't the biggest fan of Parma Violet sweets growing up but I actually love this scent and find it to be incredibly soothing and relaxing. I like to use this when I'm having a shower in the evening as it completely relaxes me and gets me ready for bed in a way. Apart from the gorgeous scents on offer from Dolly's Mixtures, I was also really impressed for the quality considering how inexpensive these are. Dolly's Mixtures shower gels are available from Asda for £2, and even as little as £1 when they're on offer, and they're actually quite good quality-wise. They're a little runny and not as thick as the shower cremes that I'm used to, but I find that they lather up really well as long as you don't squeeze too much out of the bottle. Also, who could resist that packaging? A lot like the Soap and Glory products, the packaging has a vintage vibe and includes lots of cute baking and sweet related puns. Overall, I'm really impressed with these shower gels and I will definitely be testing out some of the other scents once I've worked my way through this lot! The names of these make their scents sound so yummy! They look and sound good enough to eat. Peach melba would be my first choice. Love the packaging for these! :) The peach and cherry ones would be my favs. Love those scents. I've been Netflix binging as well. It's so hard not to do..
Each one sounds like it would smell incredible, and the price is too good to miss out on! Never seen these before, they sound like they would smell a dream! These are so cute! Love the names! These look so cute and sound amazing. I love products like this and would by it for the looks alone.